A jury in Denver found a former Albuquerque Public Schools deputy superintendent not guilty on child sexual assault charges. The jury found Jason Martinez not guilty on four counts in all. Two were for sexual assault on a child by a person in a position of trust and the other two were for sexual assault on a child with a pattern of abuse. 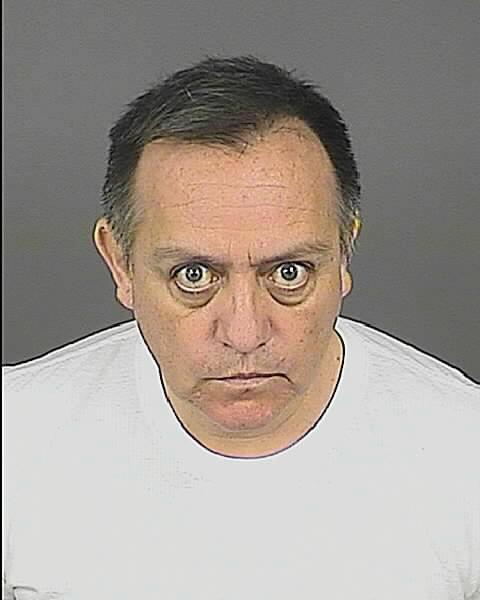 Martinez faced those charges while working at APS last year. Martinez did not undergo a background check required of all school personnel before he abruptly resigned last summer after just two months on the job. Martinez’s child sexual assault charges, which stemmed from 2013 incidents in Denver, became known publicly when NM Political Report found them two days after he resigned from APS. Days later, Martinez surrendered to authorities for violating his conditions of release. Martinez was barred from leaving Colorado, though he worked in Albuquerque for months. His lawyer initially argued that Martinez never left the state, though video evidence showed Martinez in Albuquerque. The controversy ended in the resignation of Superintendent Luis Valentino. Before Valentino hired him, Martinez worked from 2010-2012 in Denver Public Schools. After that, he worked at Houghton Mifflin Harcourt. A previous jury could not come to a unanimous verdict on the same charges and the judge declared a mistrial. Martinez also faced domestic abuse charges, though the status of those are unknown. ANTHONY -- A tall chain-link fence splits the preschool campus behind Anthony Elementary in southern New Mexico: federally funded classrooms on one side, state-funded classrooms on the other. The fence serves as a literal and symbolic divide segregating two sets of classrooms outfitted with the same child-size tables, chairs and toys; two sets of highly trained teachers; two separate playgrounds -- and a bitter competition for 4-year-old children. Three Planned Parenthood clinics in New Mexico—one in Albuquerque, one in Rio Rancho and one in Farmington—will close by this fall. Whitney Phillips, a spokeswoman for Planned Parenthood of the Rocky Mountains, which oversees clinics for the women’s health provider in New Mexico, Colorado, Wyoming and Nevada, attributed the closures to “reduced patient volume” and challenges in the healthcare industry.